A couple of weeks ago, I shared how I edit my photos for Instagram. The individual photos are just half of the story, however. A Instagram user may stumble upon up an incredible photo of yours, but if your overall Instagram feed is a mess, they're unlikely to actually tap that follow button. 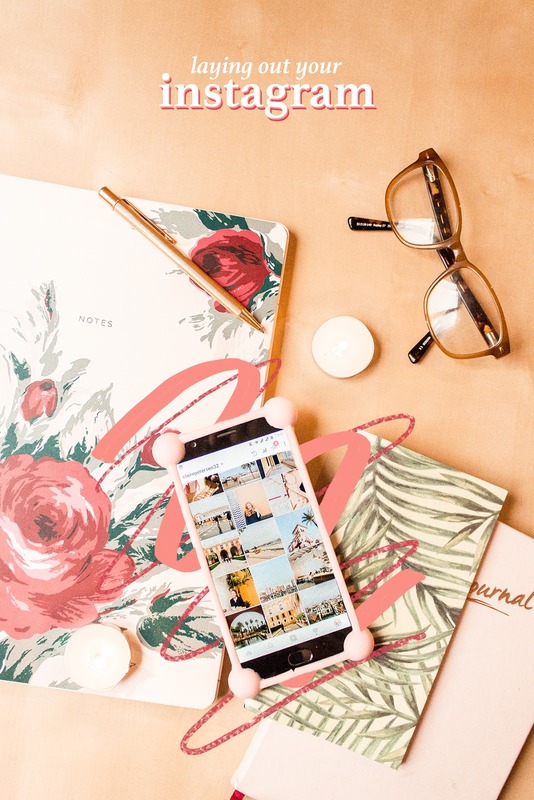 If you’re looking to grow your Instagram, layout is all important. You’re not going to be able to visualise a week’s worth of content in your head, so it's time to get a grid app for testing layouts. 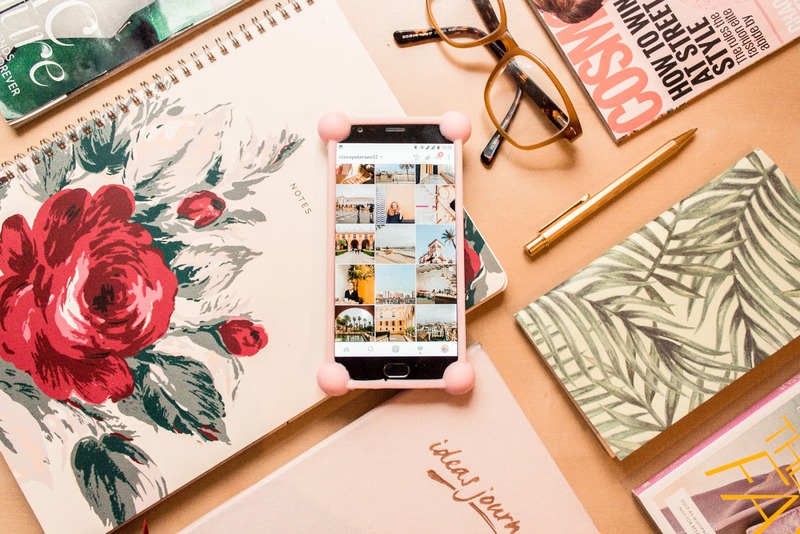 Apps like Planoly and UNUM let you create a mock-up of your feed by pulling your most recent posts and allowing you to add potential Instagram pics into the mix. Now you can play around with the order of the images to see what works best. I use Planoly because, unlike UNUM, you can upload images from your desktop. I found this feature super useful when I used to solely share DSLR photos on Instagram. Now that I'm uploading more phone pics, I'm using the mobile app version a lot more, and its simple drag-and-drop functionality does the job! You can also schedule posts from the app (it will give you a notification when it's time to post) but I prefer to simply upload when I feel like it. With any free app there's usually a catch. 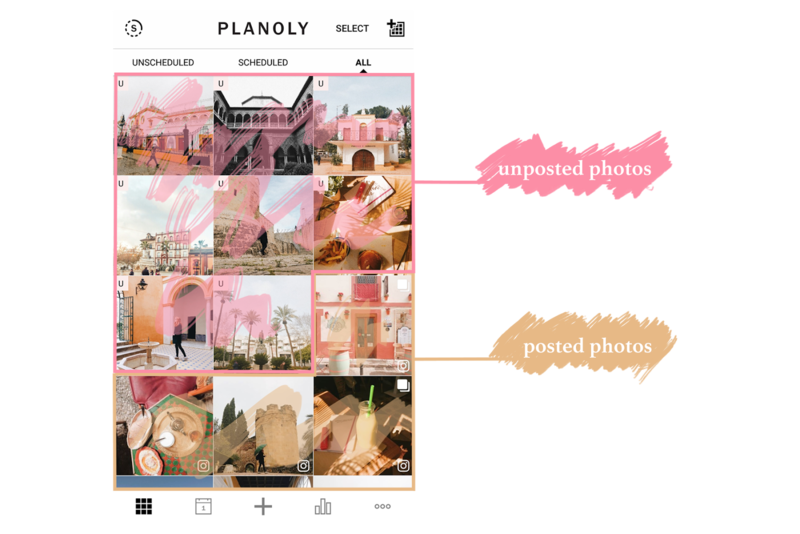 With Planoly it's that there is a cap on the amount of uploads you can share each month. When I've reached the limit, I'll either wing it or use Photoshop to test Instagram layouts. Consistency and niches are all well and good, but if every image on your feed is a flatlay, you're going to have a hard time creating an eye-catching feed. It gets boring, fast. For a fab feed, variety is a must. Say you're a makeup Instagrammer. It's not to say you can't stick to this niche, but instead of only posting product photos in the exact same way with the same background, experiment a little more. Try mixing up your images, maybe a flatlay, next to a selfie, next to a closeup of a product, and so on. Fashion Instagrammers can do the same, even those who want to only share their outfits on the platform. Instead of documenting every look with the same pose, background, and angle, mix it up. There are so many ways to share your OOTDs. Perhaps share a detail shot, next to a shot of footwear, next to a flatlay of that day's accessories, next to the classic full length shot. Okay, okay, you get the picture. If you're not committed to a niche, you have even more freedom to play around with your feed. On my own feed, I break up outfit photos and portraits with location shots and flatlays. Sometimes I'll share very visually similar photos, but the key is to space them out a lot! Make sure a few rows separate the images that are spot-the-difference similar. Let's start with the most obvious, the colour theme. That's when you choose one colour or set of colours and only post photos that are predominantely these tones. You've probably seen hundreds of accounts that take this route, some of the common themes being the monochrome feed, the oranges/browns/reds feed, and the millenial pink feed. It's a great way to ensure consistency and these feeds often look incredible and pick up a lot of followers. However, be aware that you might bore your audience - or yourself - if you're too strict with your theme! Pops of different colour, especially on the monochrome style feed, can add a bit of interest. Rotating through colour themes is an effective way to keep your feed consistent, while never getting too repeatitive. This works by sticking to one colour for about 10-14 images, and then switching to a new main colour, continuing this cycle with a new shade each time. For this one to work, it takes a lot of planning, so it might not work for you if you like to share photos on the fly. Finally, there's colour moments. It was Niamh from Cinnamon Soul who first introduced me to this concept, explaining that it is when you share a few (around 3-5) photos one after the other with the same main colour. It is not the same as a theme, because these moments are seemingly out of nowhere! Your main feed may not have any kind of colour theme, but every now and then you might have a moment where you share a few images in one colour. I love this idea, and it's a techique I use on my own account, because it is so much more flexible than religiously following a colour theme. So those are my tips for laying out a beautiful feed that people will want to follow! Do you have any other tips for perfecting the feed? Let me know, and feel free to leave your Instagram handle below too!